The water supplier has rejected a takeover approach from Kuwaiti and Canadian investors saying that it does not value the company highly enough. Looks like those would-be investors have been knocked for six. 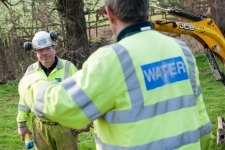 To see how much the consortium valued Severn Trent at, click here.